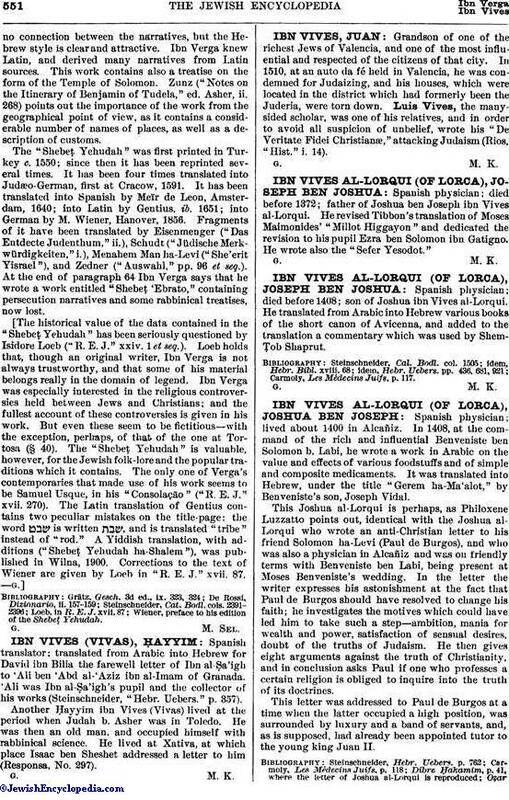 Spanish physician; died before 1408; son of Joshua ibn Vives al-Lorqui. He translated from Arabic into Hebrew various books of the short canon of Avicenna, and added to the translation a commentary which was used by ShemṬob Shaprut. Carmoly, Les Médecins Juifs, p. 117.